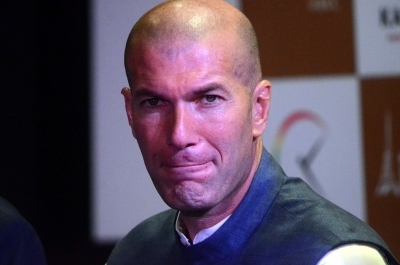 Madrid April 17 (IANS) Real Madrid s head coach Zinedine Zidane could count on a full roster at training on Tuesday ahead of the team s mid-week league home fixture against Athletic Bilbao with the exception of defender Nacho FernÃ¡ndez who remains in recovery from a thigh injury. The morning training session got underway at the Valdebebas complex and the team appeared in good spirits in preparation for Wednesday evening s kick-off against Athletic Club at the Santiago Bernabeu stadium reports Efe. Real will look for a convincing La Liga win over the 14th placed Basque team before the first leg of the UEFA Champions League semi-final against Bayern Munich in Madrid exactly one week later.